If your life depends on a large touchpad or if you are running Windows 8 on a non-touchscreen device, you might want to consider getting an external touchpad to make your life easier. Here’s one from Logitech. 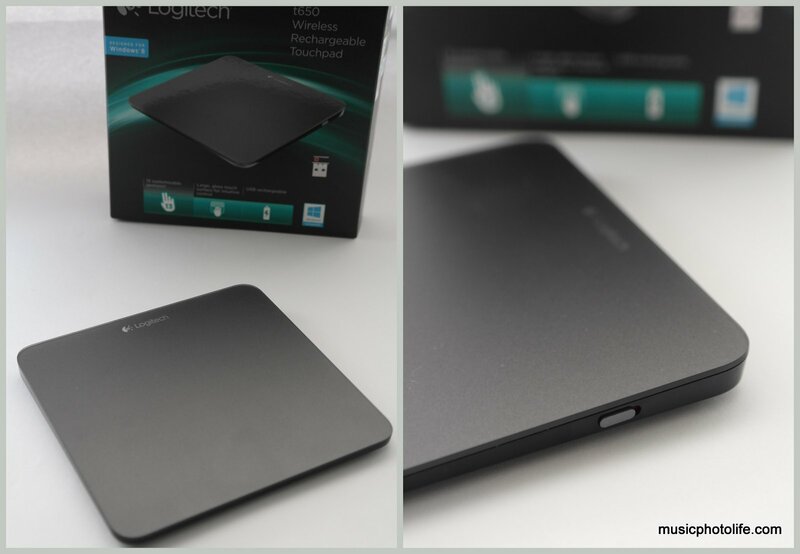 Product Information: The wireless Logitech Rechargeable Touchpad T650 provides fast, fluid navigation of Windows 8, with a wider range of gestures compared to most touch mice. Let your fingers roam across the large, smooth glass surface, where you can swipe from the edges to activate charms and switch apps, scroll with ease through Web pages and pinch-to-zoom in on your family photos. The ultra-smooth glass surface is resistant to fingerprints and scratches so it looks as good as it feels. Plus, the entire touchpad acts as a large button – you can click wherever your finger rests. Conveniently rechargeable through USB, you never have to worry about losing power. My Review: Like all the new Logitech wireless keyboards and mice, it’s a breeze to get the T650 working. On Windows 8, there will be a pop-up to download the SetPoint software. On other Windows OS, you would need to download manually in order to use all the gesture commands. The matt glass surface is comfortable to the fingers to work on. There are gestures for 1 to 4 fingers totalling 13 (less if you are using older Windows). For swipe-in gestures, there is no need to swipe from the outside edge of the touchpad, as we usually do on laptop touchpads. By trial and error, I found that you can achieve accurate swipe-in actions when you start from placing your finger just at the sides of the touchpad then swipe inwards. The touchpad is clickable, almost too faint for you to actually feel the click, and you need more strength than the usual mouse to click the touchpad. The click action is not entirely redundant: to select on-screen text, you need to click with one finger and use another finger to slide on the touchpad. I find using the click-and-slide technique easier if you use 2 hands: one to click on the touchpad while the other finger slide to navigate the mouse pointer. The large T650 touchpad lets you do this with great ease. I like that the T650 comes with a power switch so that I can switch off to conserve battery life, for moving around, or even for cleaning. There is a tiny LED indicator on the top right corner of the touchpad that lights up for a while when you power up and disappears thereafter, another intelligent design (compared to a constant-on light). Like any previous wireless devices I have reviewed, there are occasions where the T650 did not respond to my gestures. This is a side effect that you will always have to accept when using any wireless device. While I am not really a touchpad user, I do find value in having a larger responsive touchpad. Being wireless means you can use the T650 touchpad on any surface, something not achievable with mouse devices. I also like the additional gestures not available in laptop trackpads. The Logitech T650 is a simple-looking and nicely-crafted touchpad that lets you fully make use of Windows 8 touch functionality for better interactivity.